Brussels is “going full steam ahead” with its migration schemes, Prime Minister Viktor Orbán said in his regular Friday interview to public radio. 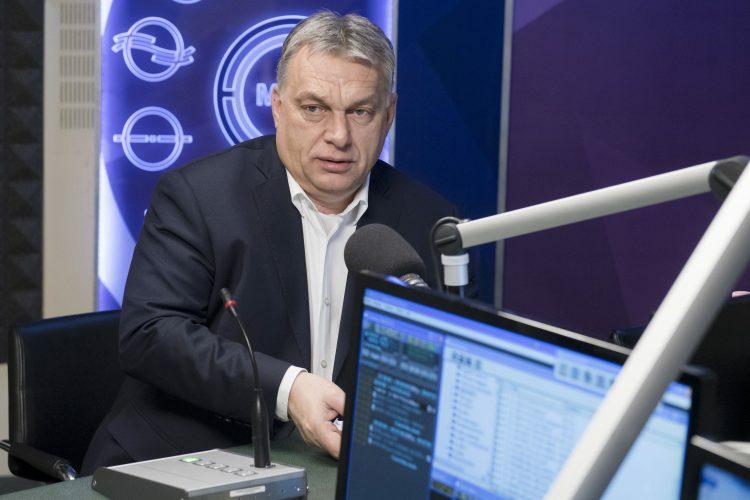 Orbán said pro-immigration forces currently in power in Brussels want to push everything through before the May European parliamentary elections, since there would be a majority that rejects pro-immigration policies after the vote. The European Commission has just published its programme on what to implement urgently, which, he said, was antithetical to all that Hungarians stand for. “It is about establishing a permanent migrant settlement programme, opening legal migration routes and creating a pilot migration programme with African countries and introducing a humanitarian visa.” He went on to say that it also involved getting NGOs to assess such visas and stripping European Union member states of their border protection responsibilities. Orbán said for this reason there would be a “tough few days” during the upcoming EU summit in Brussels. The prime minister insisted that at the forefront of the European Parliament’s “pro-migration side” were the Liberals — “the strongest group in terms of its financial and media support” — which, he said, tended “to mess with Hungary”. Concerning the United States, Orbán said that President Donald Trump’s forces and those of Soros “are fighting a battle over whether to return to the grounds of American national interests or build a globalist government to which nation states would be subordinated”. 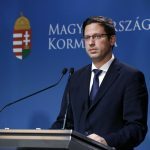 He said that Hungary’s opposition also promoted the same idea of global government, but the opposition’s weakness, he added, rendered such endeavours insignificant. The prime minister also insisted that such networks operated as “outsourced secret services” and sought to delegate their agents to “important positions”. 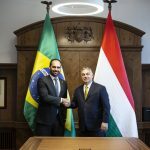 Referring to the Hungarian economy, which he said was performing well, he said: “where there’s money, there are speculators; where there’s flesh, there are flies”. Orbán pledged to “shoo off such speculators as George Soros”. Referring to the United Nations’ migration pact, Orbán said that “Soros’s international network” sought to use the UN to get migration “accepted as a good thing” so that “Soros and his kind can say that they have international authorisation”. 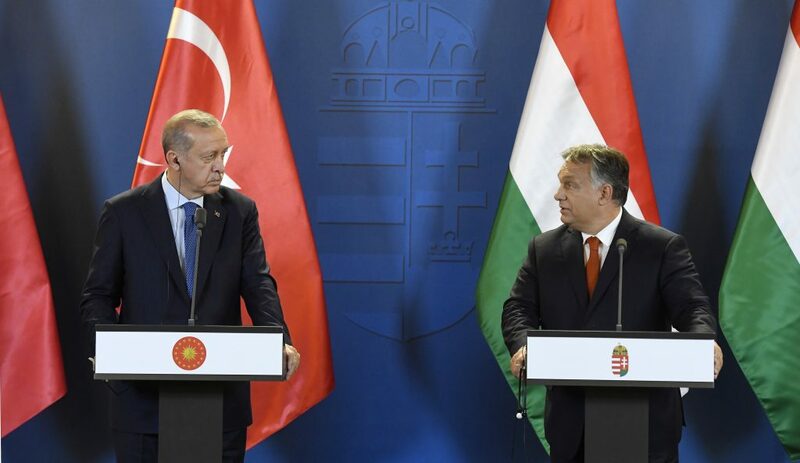 Meanwhile, referring to Turkish President Recep Tayyip Erdogan’s visit earlier in the week, Orbán said Hungary “has to gather friends rather than enemies”. The structure of the Turkish state is an internal affair, Orbán said. He has “always kept Hungary away from the bad western European attitude” of lecturing other states on how to behave, he said. This “trend” was introduced by the US, which in the meantime has also realised that “this does not lead anywhere”, he said. Turkish policies have a direct bearing on Hungary’s security, Orbán said, noting that Turkey hosts 4 million migrants. “If the Turks let them, a large number of these people would appear at the Hungarian-Serbian border within days.” A strong political system and a strong leader in Turkey is in Hungary’s “basic interest”, he said. 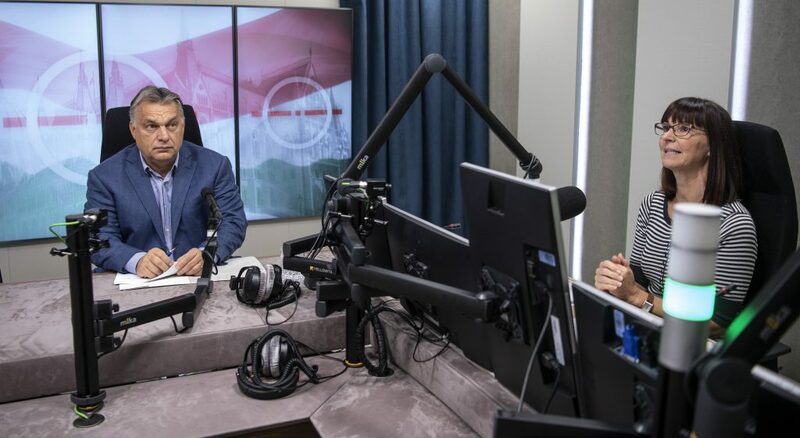 Regarding the re-election bid of István Tarlós, Budapest’s mayor running for a third term on a Fidesz ticket, Orbán said that he had asked Tarlós to run again for mayor with the authorisation of the Fidesz-led district mayors. Tarlós had set preconditions for accepting the nomination and secured substantial rights for the city, Orbán said.